Even though we all use Mason Jars throughout the house, the kitchen is just about the perfect place for them. I’d love to have a Mason Jar kitchen with the jars filling up an entire space. Today, let’s all be inspired to create something beautiful using the Mason Jar in our kitchens! KelsCountryBlessings describes this blue Ball Mason Jar she created for sale in her Etsy shop. 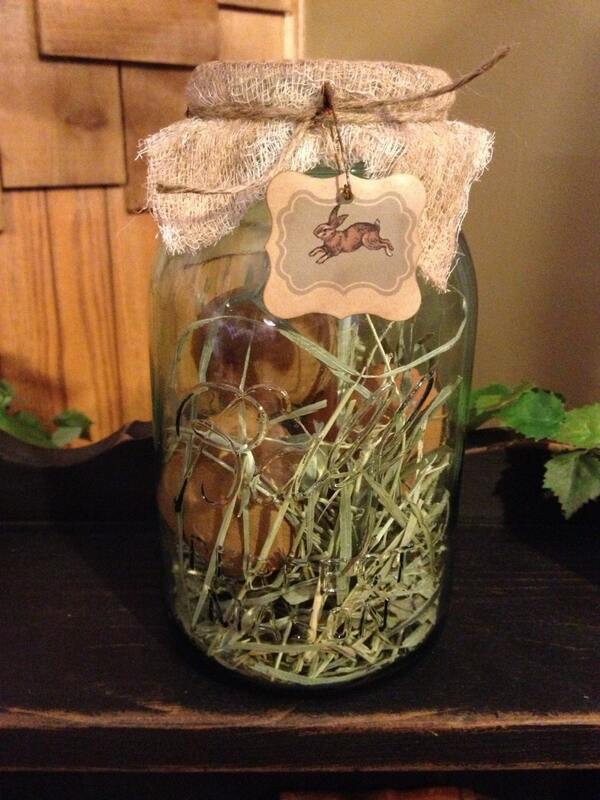 ” I nestled 3 paper mache eggs in dried prairie grass in the quart mason jar. The eggs are painted then dipped in wax. To finish I dusted them in spices.” It’s for sale in her Etsy shop for just $12.50. 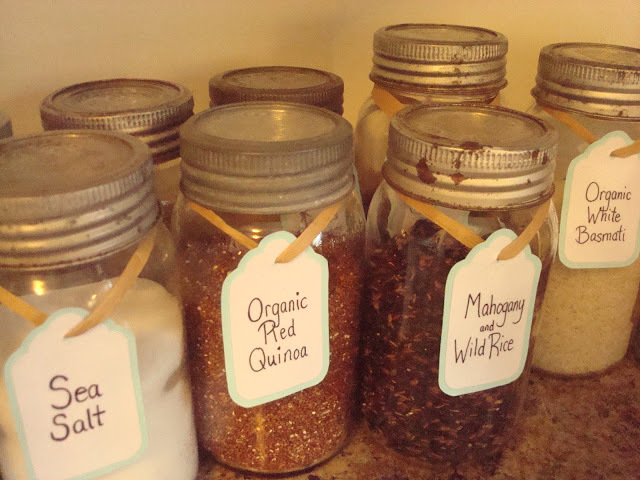 Coastal Shore Creations made some DIY Mason Jar labels and tied them around her beautifully vintage jars. Storing everything from sea salt to colorful Quinoa in them, they are both functional and beautiful. 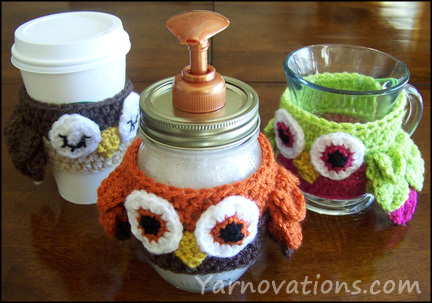 Not only did Yarnovations make a Mason Jar soap dispenser, she dressed it up with this handmade owl cozy! Isn’t that fun? Cute as it can be! Even better – she shares the how-to on her site! What about you? How do YOU use Mason Jars in YOUR kitchen? Have any fun ideas you’d like to share with me? Just pop over to the Mason Jar Crafts Facebook page and show it off!